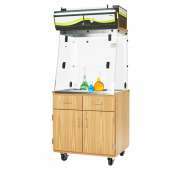 Buy Fume Hoods For Your Science Lab: Shop Now! What is a fume hood used for in chemistry? 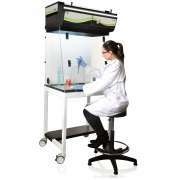 Fume hoods enable safe experimentation in a science lab. They offer clear viewing of experiments while preventing potentially-harmful substances and fumes from escaping into the air. They can be hooked up to a system of vents specially designed for their purposes in a science lab, or you can get ductless fume hoods which offer the same benefits anywhere you want to use them. A fume hood is necessary if you want to provide a full science education to high school students and ensure that they are as safe as possible. You don’t want your students to be limited because your lab is not fully equipped, but at the same time you don’t want to take any risks when it comes to health and safety. 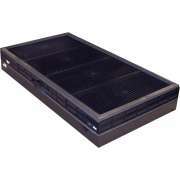 These models allow you to maximize safety and education without compromising on either. How do you know if you need a fume hood? It is advisable to use a fume hood if you are planning on conducting experiments or using chemicals that release fumes into the air. This protects people and the environment by ensuring they do not breathe in harmful substances and that the air is not polluted. An additional benefit of leaving an experiment in a contained environment is that it ensures your experiments are not contaminated by outside substances. If you are trying to teach students about chemical reactions and ensure that they observe the proper chemical processes and results, this is quite an important factor. Will students be able to observe experiments in a fume hood? One of the best things about a chemical fume hood is that you don’t have to compromise on observing experiments for the sake of safety. A window at the front provides a clear view of everything going on inside so students can make full observations. In some ways, this is even better than having experiments sitting out on a counter or table because you don’t have to worry about them accidentally getting knocked over or tampered with when they are safely placed inside. Can you get a fume hood if you don’t have ducts? 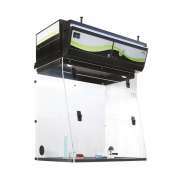 There are a number of advantages to having a ductless fume hood. 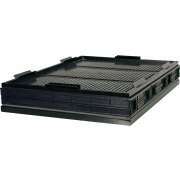 If your lab is not already equipped with built-in ducts, it can save you a lot of money on construction costs. You don’t have to compromise on a comprehensive science education simply because your lab isn’t vented properly for a standard fume hood, you can enjoy all the benefits even if your lab doesn’t have the proper built-in vents. A ductless laboratory fume hood has many benefits including low running costs and the elimination of energy consumption. It features flexible filtration technology which can be adjusted according to your needs. When you have a mobile fume hood, you can safely experiment anywhere. This is especially convenient for demonstrations outside the science lab or instructors who need the flexibility to show students around the room or in various locations the proper way to conduct an experiment.